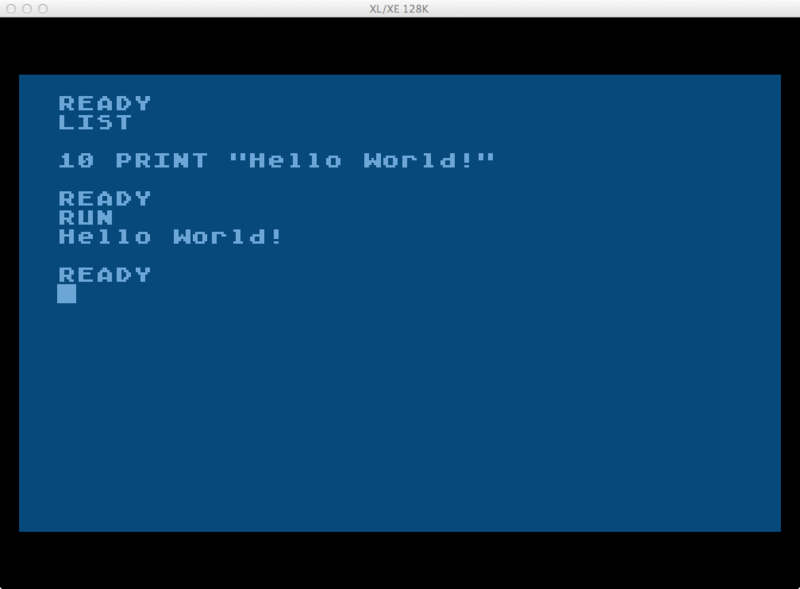 6502, Displaying Text – Finally! I found the most benefit from “Assembly Language Programming for the Atari Computers”, and “Mapping The Atari”. I managed to get a single character on the screen using OS vectors documented in the latter. Full strings of text were elusive until I started reading sections of the former. I highly recommend both of these for the beginning Atari Assembly language programmer. The BASIC PRINT command handles most of the work for you such as: opening the screen, copying the string buffer to the screen, and closing the screen. In listed form this program takes up 24 bytes of disk space. Since BASIC is interpreted and not compiled I do not have a “compiled” size, however it’s 56 bytes in tokenized form (on disk). In Assembly you have to do it all. To accomplish the task I learned about the CIO (central input/output) routines and using the IOCB (input/output control block) for the screen device. The same Hello World program in Assembly increases from one line to fifteen lines. The listed size is 878 bytes on disk and only 50 bytes in assembled form (on disk). 10: The memory address where the program will be assembled. Page 6, this program is small. 110-190: Assembler equates to make coding easier. 510: Load the X register with 0. This is the offset reference to dictate which IOCB we want to use. S: is already open by the OS on IOCB 0, so I use it. 520: Load the accumulator with 9 which is the value of the IOCB “put record” command. 530: Store the IOCB command held in the accumulator in the IOCB command byte address which is ICCOM + the value of the X register (0). 540: Load the low byte of the Hello World string into the accumulator. 550: Store the accumulator into the IOCB buffer address low byte. 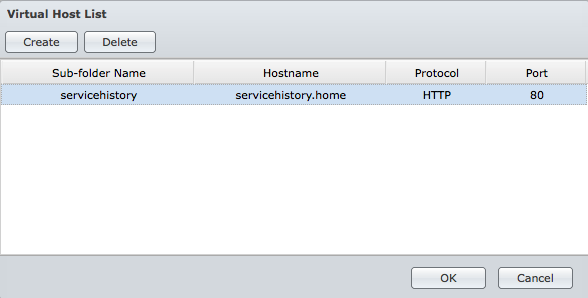 560: Load the high byte of the Hello World string into the accumulator. 570: Store the accumulator into the IOCB buffer address high byte. 580: Load the accumulator with 0. 590: Store the accumulator into the IOCB buffer length low byte. 600: Load the accumulator with 255 (FF). 610: Store the accumulator into the IOCB buffer length high byte. Buffer length will be 255 characters max. 630: Call the CIO routine now that all the IOCB parameters are filled out. The “put record” command will stop output at either the max length (in this case 255) or at the string EOL (end of line / return; 155 ($9B)). 1000: String we want to print (Hello World!) and an EOL. The difference being the instructions are executed much more efficiently, and you have much more control over the starting process. What if you needed to apply a choke, it might not be so easy in BASIC, but in Assembly you just add that step. Assembly isn’t as hard as it looks once you understand the need to break down each task into very specific steps. And with that I have officially surpassed the Assembly knowledge I had long ago and completed a task I was never before able to do! Now its time to put screen display to work. I’m going to add some messages to my PREFS program. SpartaDOS is great MS-DOS like DOS (Disk Operating System) for the Atari 8 bit line of computers. It was released on disk and eventually on cartridge too. It received updates to allow hard drive access and boasted one of the best memory footprints, which is critical for these old 48K to 128K machines. It also supports sub directories and timestamps. It is my favorite Atari based DOS. It’s still actively maintained today! Atari started out at 90K disks (single sided single density 5.25″ floppy). By comparison, a double sided single density 3.5″ floppy is 720K. 720K was a size never achieved with stock hardware throughout Atari’s existence. This is a lot more room to work with. In this post I’m documenting how to create 720K ATR disk images for use in an Atari emulator. Why not just used the hard drive emulation for a giant 16MB disk image? I like to work with disk sets, keeping things organized that way. The Atari is single tasking system, so I don’t need access to multiple categories of items. And if it gets corrupted I won’t lose everything. 90K images are generally enough to hold DOS and a few programs. The 720K image yields enough room to hold DOS, some utilities, and a handful of programs. For purposes here, I’m focusing on SpartaDOS 3.2g. There are a few emulators out there, but the one I like for the Mac is Atari800MacX. I also helped with testing new releases years ago. As such, the first steps are focused on that emulator, but you should be able to use the parameters listed in other emulators and achieve the same result. First, start Atari800MacX. The hardware and OS flavors do not matter at this point. I generally run a standard Atari 130 XE with Basic turned off. Enable Disk 1, and use Insert to mount a SpartaDOS 3.2g disk image. It’s 90K. You should be able to locate it rather easily if you don’t already have it. 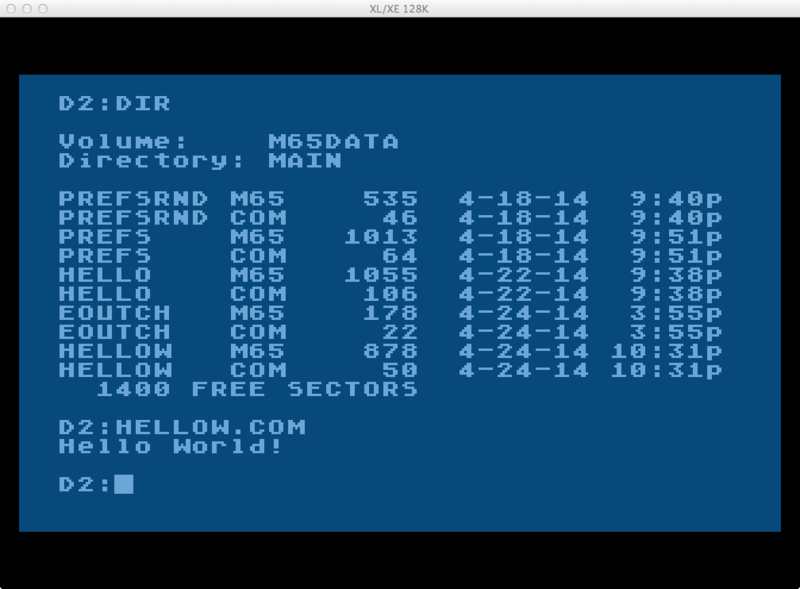 Cold boot the Atari in the emulator. When asked about the sector skew, type N for No, otherwise the format will fail. When its done, press RETURN again, then press ESC and you should be back at the SpartaDOS “D1:” prompt. If the disk you created is a blank disk with no DOS, make a copy of the file so you have instant access to a blank in the future. This post has been a draft for a long time, it’s time to publish it! 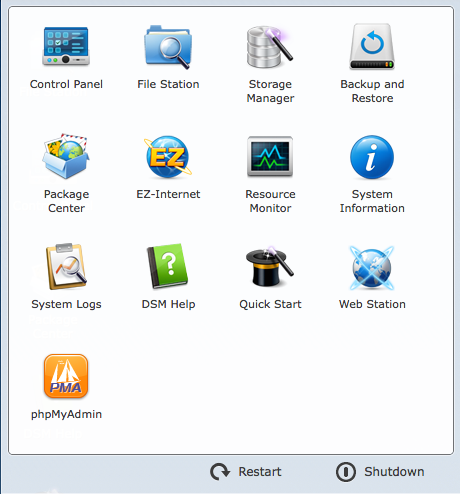 It explains how to setup a Synology DiskStation NAS running DSM (Disk Station Manager) to serve web pages (including PHP) and provide SQL services (via MySQL). Your NAS can still sleep properly with this setup while giving you the benefit of running a LAMP stack. The average user won’t need this. If you know what PHP, SQL, and LAMP are then you might be interested. 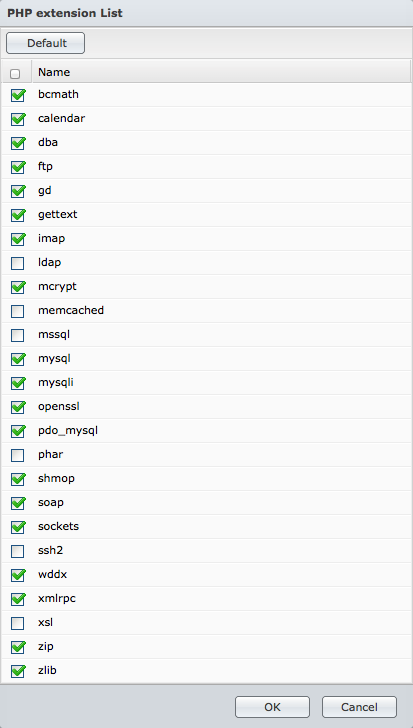 I needed this to host an application I wrote in PHP that uses MySQL on the backend to store data. When I maintained an externally hosted web site it was running there. I rely on the application but no longer wanted to maintain the external web site, so this solution came about. 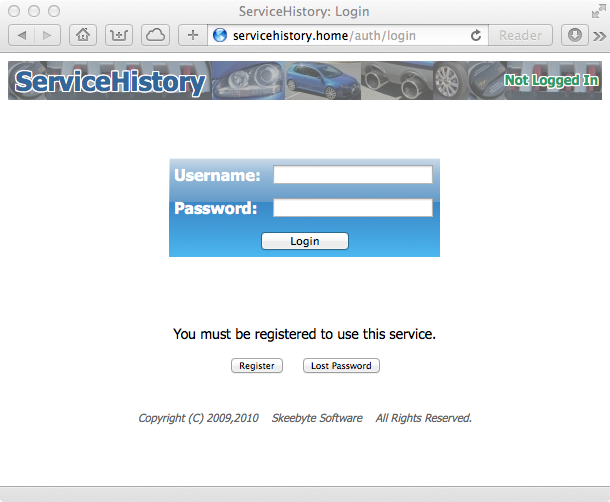 Purely for reference, my application is for vehicle service history. First you need to login to the DSM interface as the root/admin user. Next you need to make sure the packages are running. Click “Installed”, find the package, click “Run”. Close the Package Manager when done. 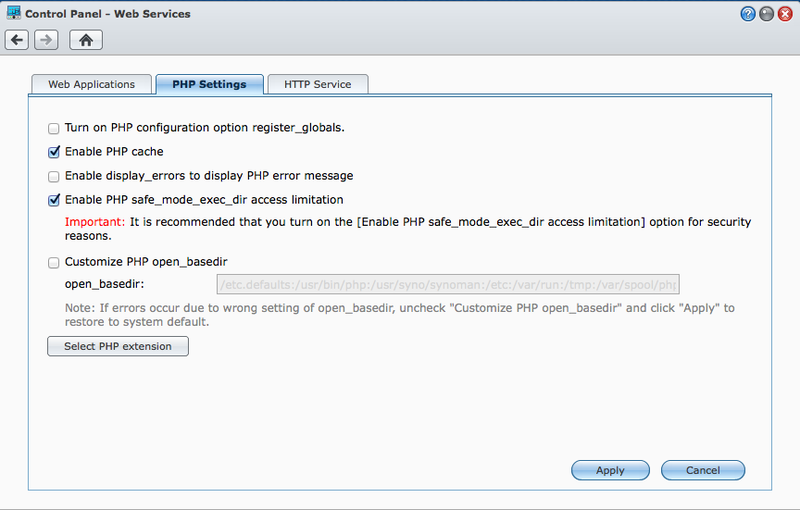 Next you need to login to phpMyAdmin and set the root password. 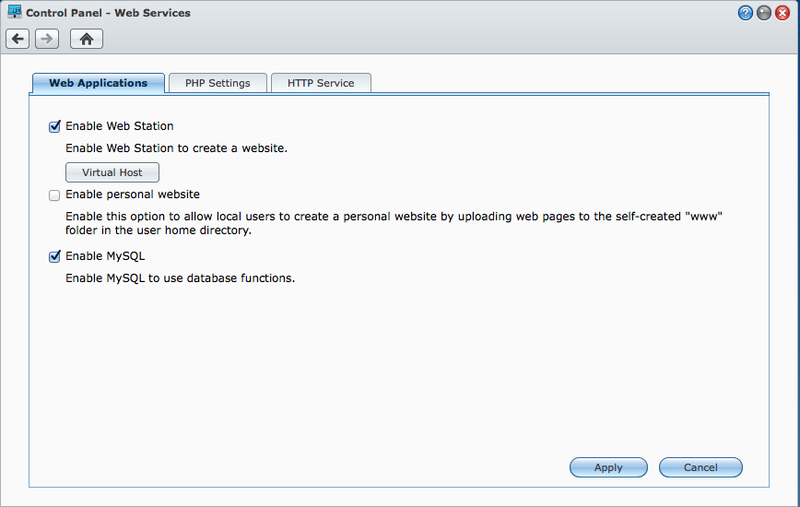 From the Application Panel, select “phpMyAdmin”. Login as “root”. There is no password initially. Click “Change Password”. Enter a new password, re-enter the new password, and click “OK”. That’s it! You can also serve multiple applications by creating multiple virtual hosts and placing those applications in the proper directories. Sometimes there is a need to physically sort the files on USB mounted media such as flash drives and SD cards. Not for viewing on the Mac while using Finder, but while managing the content of the USB drive from Mac OSX for use in other devices. Specifically if those other devices don’t have the ability to do any sorting. While you can get the files in the order you want by copying them in that order (hint don’t rely on drag and drop, or copy and paste for proper ordering), i becomes very tedious if there are many files and more so if there are directories as well. 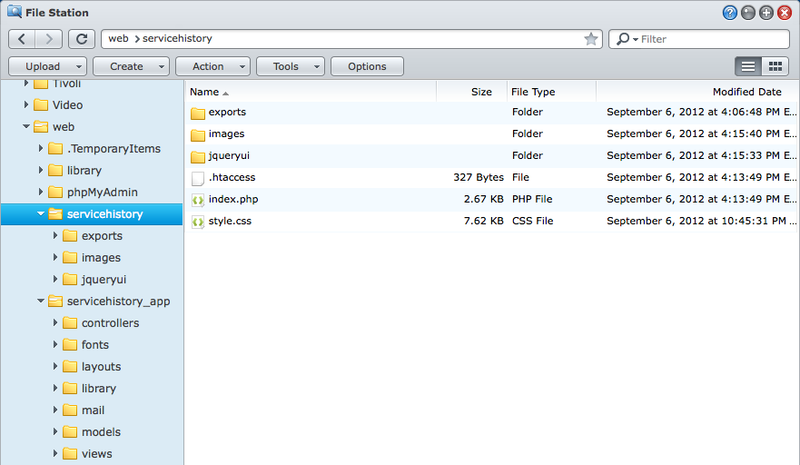 I stumbled upon a neat open source utility called FatSort, available from SourceForge, that will do the job for you. 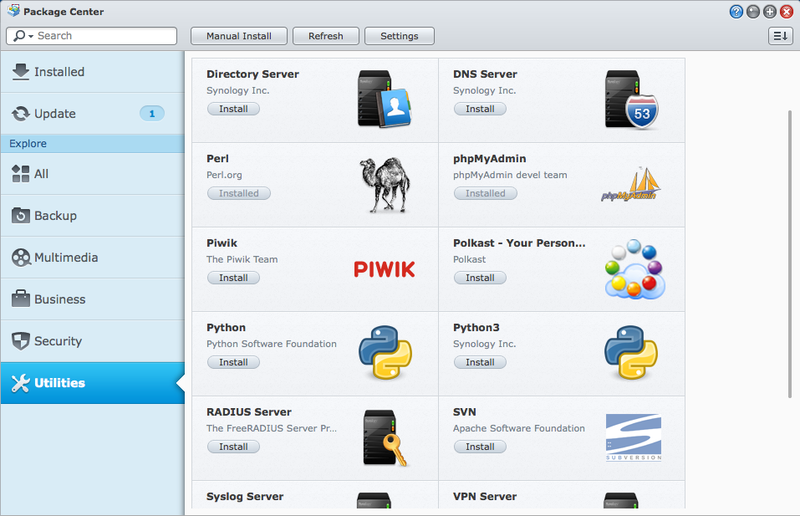 Here is how to do it using Mac OSX. Extract the source, open Terminal and change directory to the source location. Now copy the built program to the location you want to run it from (I’ll use the user home directory: ~). Mount the USB drive or SD card via normal means. You now need root / administrative authority, so su to the root account. You will be prompted to enter your password, not the root user password. Run the fatsort program from the location you copied it to. It has several options which can be obtained by running it with the “-h” parameter. 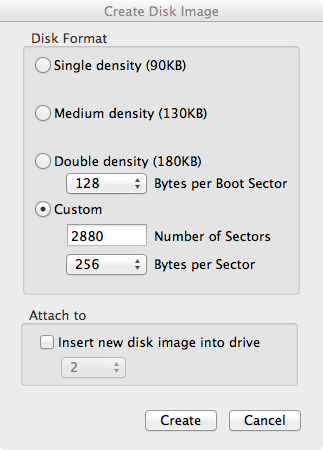 The default is to sort directories first, then files, which is what I want so no options are needed. You must specify the device you identified above (in this example “/dev/disk2s1”). That’s it! Unplug the media and put it in the other “dumb” device. The directories and files should be sorted alphabetically. Printing to the screen was a little too ambitious as the next step. Instead I looked at something arguably more useful; comparison and branching. Since part of what my PREFS program does is unique to the Atari XL/XE series I decided to have it check for those versions of the OS. If they are found, then the XL/XE portion of the code is executed, otherwise it will just exit. There are two memory locations in the Atari which reflect the OS version. It moved by one byte between the original Atari 400/800 OS and the Atari XL/XE OS. The older location is $FFF8 (65528). There are three values representing different revisions and television display standards (North American NTSC and European PAL – although the delineation is not that cut and dry). For this programs purposes I only need to check for the XL/XE so the older location is only being documented. The newer location is one byte lower in memory at $FFF7 (65527). There are several values that it can have. For my purposes I’m only concerned with values 1-4, 10 and 11. If/then logic in 6502 assembly is implemented with a combination of comparison and branching instructions. 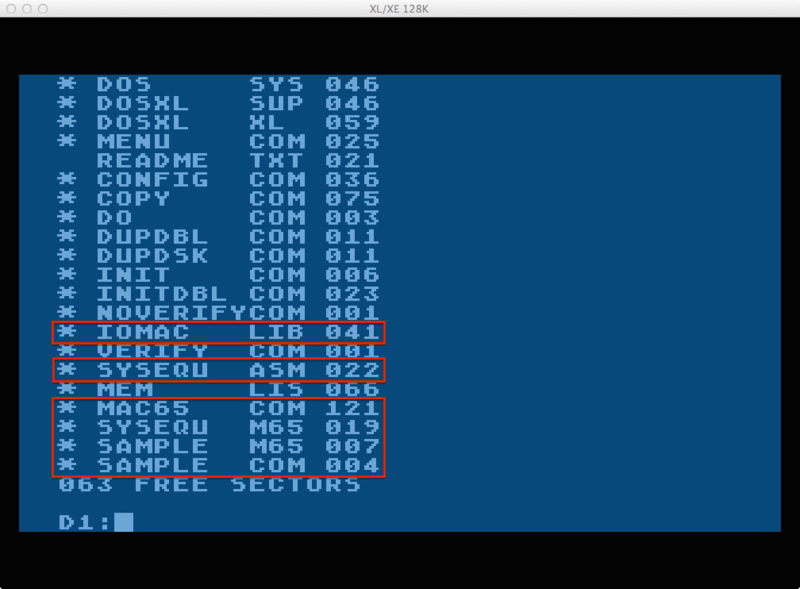 There are three comparison instructions: CMP, CPX, CPY. CMP compares values in the accumulator, while CPX and CPY compare values in the X and Y registers respectively. There are eight branch instructions. I’m only going to cover the ones I use, others will be introduced as I need them. For now, BCC and BEQ are of interest. BCC tells the processor to Branch if the Carry flag is Clear. BEQ tells the processor to Branch if the values compared are equal, but more precisely if the result of the comparison leaves the zero flag set. The comparison and branching instructions are not very useful by themselves. Coupling them together allows you to build the if/then constructs which make them very useful. Here are five examples of combining the instructions into useful if/then constructs. The LDA instructions here load a value using Immediate Addressing mode (the specified value) written as “LDA #value”. To load the accumulator with a value from a memory location, you would use the Absolute Addressing mode which is written as “LDA $hhhh”. As you will see later, I use absolute addressing in the updates to my program. I’ve modified my PREFS program with the appropriate constructs. I’ve added many definitions since last time and renumbered to make room for expansion. 0499 ; Do XL/XE section? Here is a breakdown of what the program code is doing. The main differences are in lines 500 through 620. Lines 10-61 : Assembler directives and definitions. Lines 100-320 : Set the preferences that work across all Atari OS versions. Lines 505-520 : Comparison logic for XL/XE OS versions 1 through 4. Load the accumulator with the value from the OSNEW location. Compare the accumulator value to 5 (one higher than the values I want to include). Branch on Carry Clear (if the value is less than) to the XLXE code section. Lines 530-560 : Comparison logic for XL/XE OS version 10. Load the accumulator with the value from the OSNEW location. Compare the accumulator value to 10. Branch if its equal to the XLXE code section. Lines 570-600 : Comparison logic for XL/XE OS version 11. Load the accumulator with the value from the OSNEW location. Compare the accumulator value to 11. Branch if its equal to the XLXE code section. Lines 610-620 : None of the comparisons matched so we need to jump past the XLXE code section to the program completion code denoted by the label DONE. Lines 1000-1220 : Set the preferences that only work on Atari XL/XE OS versions. I made a copy of the program and added addition code to it. The additional code caused it branch to different XLXE sections which set the screen colors differently. I then tested it using different OS’s in the emulator, and saw the color differences as expected. No screenshots this time since nothing changed on the output. Now, back to trying to print something on the screen!